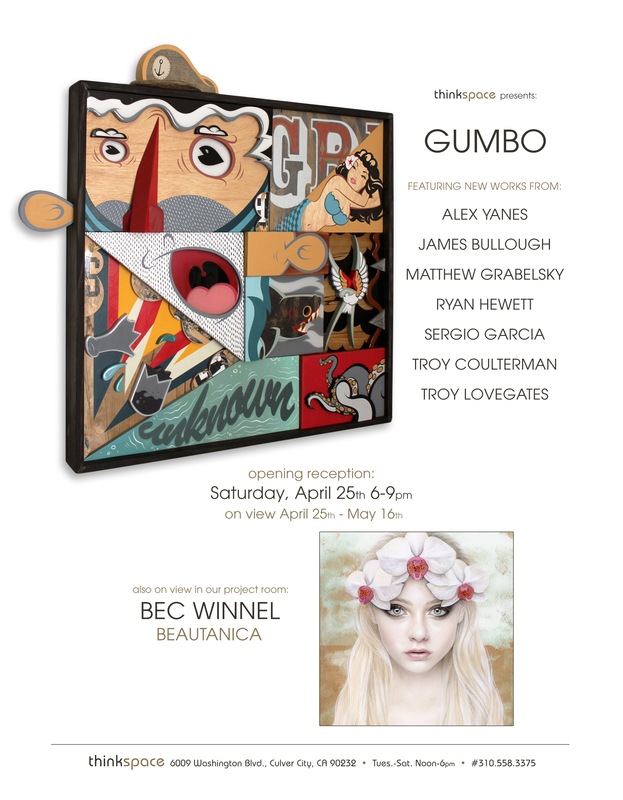 Concurrently on view in the Thinkspace project room is Beautanica, featuring new works by Australian artist and illustrator Bec Winnel. 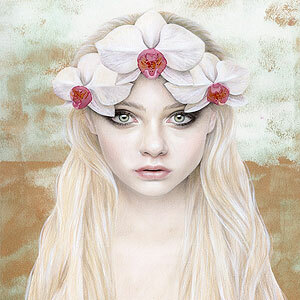 A self-taught talent, Winnel is known for the ethereal quality of her feminine portraits. She creates hauntingly lush drawings with layer upon layer of graphite, colored pencil and pastel, an impressive technique that makes viewing her work undeniably magnetic. The drawings convey an incredible amount of luminosity and depth, while also feeling quite impermanent and on the verge of disappearance. With cobweb like delicacy, their elegance is palpable. This material illusion of airiness and fragility transports the imagery beyond mere portraiture into a realm of otherworldly fantasy and calm. In Beautanica, Winnel continues her exploration of feminine beauty, in all its strange and compelling guises. In a dreamlike trance, her figures seduce and scintillate, but we are left with the distinct feeling that their beauty exceeds the physical and is somehow filled with pathos and understanding. Like sympathetic harbingers emerging from the ravages of a storm, they offer their beauty as a comforting mirage and a promise of something better. Entirely transporting, her spellbinding work verges on the truly magical.